DIY No-Sew Dolloween StarWars Costume! Halloween is right around the corner! That’s crazy. I literally only have one piece of my costume ready, and that’s still shipping. TELL THAT UNICORN HEADBAND TO HURRY UP. Well, not only does Halloween mean getting your costume ready, but it also mean’s getting your dolls’ costume ready! And we’re here to help with that, so enjoy this tutorial! Blue duct tape, red duct tape, etc. Step 1: Mark where you want to cut your dowel. Step 2: Snap your dowel, using your mark as a guideline. Don’t worry about making the edge look neat; we’ll be covering that up in the next step. Step 3: Now, cover the uneven end of the dowel with black duct tape. This will be your handle. Step 4: Next, color the uncovered part of the dowel red (for the Dark Side) or green, blue, or purple (for the Light Side). Step 5: Cut small pieces of colorful duct tape and stick it on your “handle” for buttons. You don’t need a terrible amount of these. Just an on/off switch can do it’s justice. Step 1: Get your infant tee shirt out. Use brown for a Jedi and black for Darth Vader. Mine is from Garanamals, which is available at Walmart or Amazon. Step 2: Slip it on your doll and pin where it’s needed. Step 2: Now, cut it out. If you colored it, make sure to layer a few pieces of paper on the back so it doesn’t bleed on your doll’s face. Step 3: Make sure it fits on your doll’s face before continuing to any of the next steps. Step 4: Punch two holes on the sides of your mask. Step 5: Wrap a piece of embroidery thread (or, if you don’t have embroidery thread, you can use floss). Now, cut at the very end. Step 6: Measure your embroidery floss. If you are doing this to multiple dolls, make sure to measure each one, because the hairstyle may vary the size. Now, cut your floss a little more than three quarters. So, because mine was about 11 inches, I cut it at 9. Step 7: Place two strips of tape on each hole. Make sure you taped in the front. Step 8: Put the embroidery floss in the back of the taped holes. I know that doesn’t’t really make sense, but if you look at the picture you’ll get it. Step 9: Just slip it on your doll, and you’re done! Thanks for reading! Will you make this craft? Hello everybody! Thanks everybody who entered the Q and A! Let’s get started! The questions will be in bold. Well, I started last December, so about 10 months! 😮 That’s crazy! Izzy, what’s your fave color? Where do you see yourself in 10 months? Hmm, I’m not sure! I would be almost 11, so probably…hmm…editing my novel? How high do you rate exit signs? I love plane rides! I’ve only been on an airplane twice, though. It’s really cool to look out the window and see clouds! Movie theater or movie at home? I like watching movies at the theater, but watching movies at home is fun because you can make fun of it/be loud/pause. If you could get any doll in AG existence which would it be? Either Nikki or Molly. I really like how Nikki trains service dogs and she’s the GOTY of my birth year! I want to know about how you got into AG and the story of your first doll. When I was 5 or 6, I met my best friend (we’ll call her Kate) who had like, 7 AG Dolls. I really, really, wanted a doll of my own! So, Kate let me borrow her AG Catalogue and I was hooked. I really wanted Caroline (there’s a funny story about how I thought Marie Grace’s crinoline was for Caroline and I was so confused why it was on Marie Grace’s page!) so for Christmas, I asked for an AG doll! My parents gave me an Our Generation Doll (her name was Lily Anna) who looked like Caroline, and I loved her. Then, I saved up for Izzy! I don’t have Lily Anna anymore, but I’ll remember her as my first doll. Z: I love taking pictures of the iconic landmarks back in Seattle! What do you like about AG? I love how they inspire girls to shine in every way! Would you work at AG? Definitely! We always go to the Houston one in Memorial City mall, and there’s this nice lady that gives us little gift packages. THE BEST. EVAH. How would you describe yourself in 2 words? You’ll get used to it, Z. Do you read Emily Windsnap books? Z: No, I haven’t heard of those! Z’ why do you like taking pictures? Z: I love being able to capture the moment to be able to look back at it later! Emmie why did you start a blog? 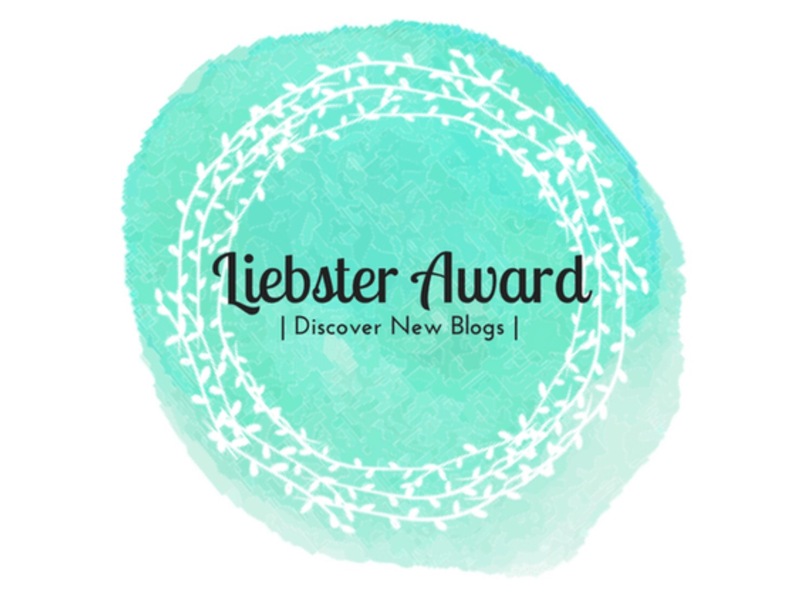 I had been reading Lissie’s blog for a while, when I finally asked my parents to help me set up a blog! I really wanted a place to share my writing and photography, so I made myself a Blogger Blog! But, it had personal information on it, so my parents freaked out and made me delete it. So, I started a new one! (Did you know AGW was originally on Blogger?) Then, my dad researched better blogging platforms and fond WordPress! Emmie what is your favorite color? Do you like hot chocolate or tea? Probably Are You Ready For It? By Taylor Swift! For Emmie: How would your friends describe you? For Jade: Which of your sisters gets on your nerves the most? For Izzy: On the scale of 1-10, how responsible are you? 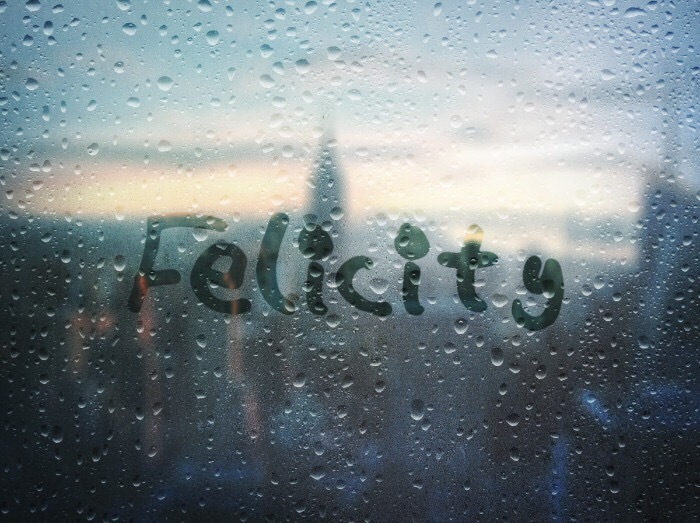 For Felicity: What’s your favorite ice cream flavor? For Lexi: What’s the last book you read, and what rating (1-5 stars) would you give it? Lexi: I most recently read A Little Princess by Frances Hodgson Burnett! It was super good! I rate it 41/2 stars! For Maryellen: If you could only eat three foods for the rest of your life, what would they be? Maryellen: Chocolate, pizza, and bacon. Hey, If I’m gonna have three foods, then they better be good! For Z: What’s your dream job? Z: Definitely a professional film director or producer! If you could start another blog, what would it be about? Probably a personal blog or a music blog! Why did you decide to get Z? I thought she was a really great doll and I love how she makes AGSMs like me! What dolls are next on your to be bought list? Nikki, #55, Molly, Gabriela, or GOTY 2018 Luciana Vega. What is your favorite post you have done? I really liked my post Playing With Tucker! 1. How did you discover AG? I answered this with Ag’s in Alaska’s questions. 3. Have you ever been to summer camp? Yes! I actually went to Summer Camp last summer! 4. What do you want Z to shoot or film next? A room tour would be cool! 5. What is your dream AG doll? As in custom? Then, caramel hair w/ pink streaks, brown eyes, Marie Grace mold, freckles, and lip gloss! 6. If you could go on a $500 AG shopping spree, what would you buy? And that’s it for the Q and A! You can vote between them by taking our poll! So, due to NaNoWriMo, I will be going on a hiatus for November. *cue gasps* We won’t be replying to comments or checking out your posts, but sometimes I might check in and comment on ya’ll’s blogs occasionally! Today I took Z outside for a photoshoot! She’s going to guest star in Forever, so that’s when she’ll be coming to the doll family on the blog, if you were wondering. So…I guess I’ll let Z take over! I decided to take a break from working on an AGSM (the Horrible Homework Hacker! If Emmie will let me I’ll show it to you guys!) and go climb some trees! Emmien wanted to do a photoshoot with me, and I agreed. But, I shall ruin it by not looking at the camera! Mwhahaha! Ok, Emmie, I know you’re all ‘Super-Artistic-Photos’ but this photoshoot was supposed to be of me?? Oh so interesting am I right. Jk, that’s just the sun. GRASS STOP STEALING MY SPOTLIGHT. NO LITERALLY YOU TOOK ALL THE SUNSTREAKS. Farewell for now! Z. Crew, Out! This is so, so crazy. 50 PEOPLE decided that AGW was good enough to click that little button–the button that can change a blogger’s life. YOU are the reason why American Girls continue to Rule the World–you aren’t just another follower on another blog. You’re part of a community! A community that celebrates YOU and dolls–our little actresses that we can name, create personalities for, and write countless photo stories and stories about. YOU are part of the American Girl World family. And as a celebration of this, I bring you…. A MEGA Q AND A! That’s right–our very first Q and A! You can ask me or my dolls (Jade, Izzy, Felicity, Lexi, Maryellen, or Z) as many questions as you want! The Q & A closes on October 21. That gives you one week to answer your questions. ARE YOU GOING TO ENTER THE Q&A? I think we have a divider/header! You can see Victoria and Emily up there! The front of the box has an image of the product with Z standing next to it, the Z Yang Collection logo-thingy, and some camera illustrations that look like they were done on a chalkboard. The back of the box says: Ready, Set, Record! Z’s Set features a working studio light, functioning clapboard, a megaphone, booklet, award, tote bag, and a reversible screen featuring a Seattle scene. It was fairly easy to assemble. The instructions were very detailed, “Short stick + long stick”. Thanks, AG. Here’s it all put together! The screen is a really good quality fabric, though it comes folded so you might want to iron it. The scene is really cute! The studio light requires 2 AAA batteries. I am a bit upset they only included one studio light, as one light creates a lot of shadows and you should usually use two or three lights. The reverse side is a green screen. The only problem about this is you would need editing software to make it work in your videos. It also came with a megaphone, a booklet, and a “Z. Awards” trophy. Even in the book it says to use two or three lights. And of course, Z has her clapboard! Overall, I really liked this Set! I don’t think that it is worth $60 though, Maybe more around $45. The only thing I would really change is having two studio lights, but other than that the set is adorable! I 1000000000% recommend this set and I am really excited to see the Doll blogging community use this! So first of all, if you are reading this post, high five, you! You are the awesomest person in the whole world! Here’s some marshmallows. Second of all, I wanted to give a huge shoutout to Madison @ Delightful World of Dolls! Her post inspired me to write this photo story! So let’s get on with the photo story, shall we? As Raina was talking, she noticed that Izzy wasn’t paying attention and looked up. “YOU DON’T KNOW HOW TO GET US DOWN? ?” Raina shrieked. Izzy just looked at her. Climbing to the edge of the wood, Izzy took a deep breath and pushed her little legs up. And she went flying! The thrill of it purged through her body as she fell, down, down, the wind rushing against her. The adrenaline was overwhelming. With a scream and an “Oof!” Raina landed on the grass beside her, interrupting her daydream. Slightly annoyed, Izzy repositioned herself. Little did they know what lay in their future. Hearing a small bark, Izzy jumped. She turned around…and screamed! The minis jumped up and ran! Screaming, they pumped their legs as fast as they could. …Izzy tumbled in to a ditch! Ooof! Raina tumbled in after her. At least mini-doll-hungry dogs came with a ride home. So. Um. I’m reaalllllyyyyy bad at introductions so can we please start? I got episode one scripted? You can read the post here! I was doing really well but then I got like a C on my test so yeah I’ll kiss this one goodbye. Anya’s Blog Tour: My Contribution! We’re Redoing Our Site Design? The votes unanimously revealed that. Rose won with Everly! Congrats, Rose! You can display this image on your blog’s footer, sidebar, or awards section! What’s October’s NTTMN? Maybe you’ll win! #58! Comment what her name should be! Hope you liked this post! Don’t forget to comment for NTTM #3! Also, nobody is doing the Old Post Tag? I don’t mean to sound needy but i don’t want it to be the death of a newborn tag. TAG MURDERING IS AGAINST THE LAW PEEPS. If you weren’t nominated, feel free to do this tag! Hello, folks, and welcome to American Girl World! It’s Ellie here! The other day we went to Emmie’s grandparents’ house for the Aggie game (We won!) and she took me with her! My grandma has the coolest backyard, so she took me outside for a photoshoot. I spy a new profile pic! My shoes. I really like how the camera blurred the outside boot! Alexandra: Sure. Awesome screeching like a dying goat/screaming old lady. Staring off in to the distance. My grandma’s neighbor’s dog was outside, so Emmie snapped a few pics. Hey Emmie this photo shoot was was supposed to be of me?? So I guess that’s it for this mini photoshoot! Wait a sec… what about the voting? You can vote between Everly (Submitted by Rose) OR Elisha Sky (Submitted by Volcana Shard (Ashly Vye))!! First of all, I wanted to say I’m not dead I haven’t been posting very much these past couple of weeks–life right now is hectic with Harvey and school and stuff! Ok let’s stop with all that ‘of alls’ and on with the actual post, shall we? I randomly made up this tag… so now I am forcing you tagging you guys so yeah um I’m bad at this introduction stuff so can we just post the rules?? Make sure to link to those posts! I was going to say to have fun but that’s so cliché it’s ridiculous. Okey dokey. Rules done…. oh wait now I have to read my posts? This is going to be a long night. 1. My Very First Post! Um ok?? This was very… Informative. Plus i totally stole that ‘It’s not my real name, but my family prefers stay private’ line from Lissie’s blog lol. AnD ThAt PiC tHe HoRror tHe HoRrOr. Maryellen’s hair is trashed. neither of them are wearing shoes. The lighting is terrible and JUST SERIOUSLY. Wonder why it never got on Meet the Dolls (Original!)? Yes. Yes it was. AND LOOK AT THAT OUTFIT. 4. Saint Patrick’s Day Craft! Like seriously. THIS was my idea of a craft??? Please help this marshmallow. I’ve gone insane. ISABEL: WHAT AM I WEARING EMMIE WHAT DID YOU DO TO ME. ALEXANDRA: What trick do I have up my sleeve? I’m not wearing sleeves! LIKE WOT. OH AND LISSIE THAT WAS RUDE. So I guess this concludes this rant post! Oh wait, I have to nominate peeps! Thanks for reading! Best of luck to those in the path of Irma! Hi guys! I decided to do a little vlog with Alexandra. Stay safe this week! In Our Survey, you guys have been suggesting things like schedules*. So I decided to finally post this! *Schedules will be ignored in case of Monthly Goals and birthday posts. Hi guys! Lissie here. So there has been a little confusion about NTTM. And I didn’t really make it clear about the rules and stuff. We pick two of our favorite names (e.g. Paris and Elise) and we put them in to a poll on Playbuzz. You guys all vote on who you think the winner should be. The winner is announced along with the next NTTM and it starts all over again! Note: THE POLL CLOSES ON AUGUST 31rst, 2017, 1:00 PM Central Time. The winner will be announced on September 1rst on our annual Monthly Goals post.